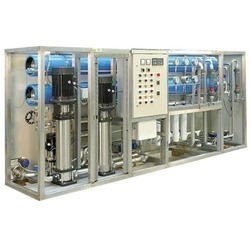 We are a leading Manufacturer of mbr ro water recycle system, dosing plants and commercial packaged drinking water plants from Chennai, India. Far more precious than gold or silver, a little more crucial than petrol and as vital as oxygen, yes, we're talking about water. We know that 75% of the world's fresh water resources are contaminated, the remaining is fast disappearing. One of the most reliable way to do today is by recycling water. We at Canadian Clear "Silver Stream" present you a reliable method to recycle water through our superior, pre-fabricated packaged waste water treatment plants. Canadian Clear's newly developed technology has resulted in machines with better efficiency, less power consumption and is more compact in terms of size and weight. We are one of the most efficient and reliable companies which with its past several years of supreme quality services have made a very renowned name and fame in the industry for the manufacture, supply and export of various supreme quality industrial equipments in the market. Our product range also includes one of the most supreme qualities Dosing Plants. These Dosing Plants are made up of very tough and tensile quality materials and are very long lasting and efficient. We are offering these Dosing Plants to or clients at a very budget friendly range of prices. Canadian Crystalline Single / Multi cartridge pressure vessels are designed and built in accordance with Canadian Crystalline (Canada) specifications. 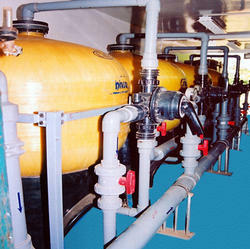 Canadian crystalline micron filtration system vessel construction. 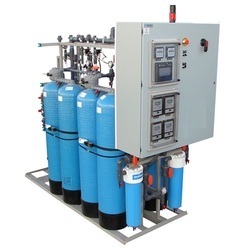 Canadian crystalline micron filtration system outer casing is made out of stainless steel 316, specially designed to give maximum efficiency to the filter elements. of captured contaminants from the chamber.